Court records have revealed disturbing allegations against a man police in Mobile recently arrested for allegedly imprisoning a woman in his home for more than three weeks. 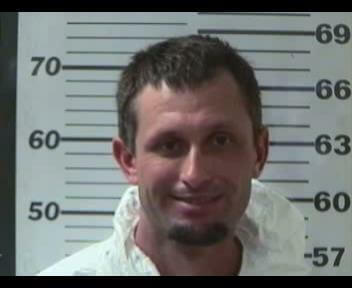 Jason Corey Dykes, 36, was arrested Sept. 13 after police searched his residence in the Theodore area near the intersection of Travis and Wigfield Roads. He was charged with two counts of domestic violence and unlawful imprisonment for allegedly keeping a woman in his house for more than three weeks. The Mobile Police Department initially indicated the search of Dykes’ property could be connected to its investigation into the disappearance of 25-year-old Danniella Vian, who has been missing from Mobile since July 17. Vian was last seen at a Shell gas station on Government Boulevard in a Blue 2014 Chevy Cruze. It was later revealed that Dykes was related to Vian’s ex-boyfriend, and family members told Fox 10 reports that she had been to the property in the past. However, police found no evidence connected to Vian’s case and Dykes is not considered a suspect at this point. Instead, the charges against Dykes stem from the alleged treatment of another woman, who says he “raped, beat and held [her] against [her] will” for weeks after she moved in with him. 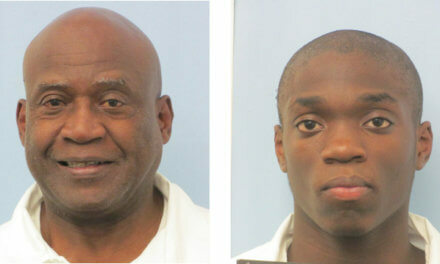 Dykes pleaded not guilty to those charges Tuesday in Mobile County District Court. The victim, who was previously in a relationship with Dykes, filed a petition seeking a protective order against him in a separate domestic relations case, and that petition details disturbing allegations against Dykes that she says occurred in the three and half weeks he imprisoned her. Court records indicate that Mobile Circuit Judge Michael Sherman granted the victim’s request for a protective order, and Mobile Metro Jail records show Dykes was still in police custody as of 1 p.m. Wednesday, Sept. 19. Dykes several prior arrests for charges related to drug possession and domestic violence.